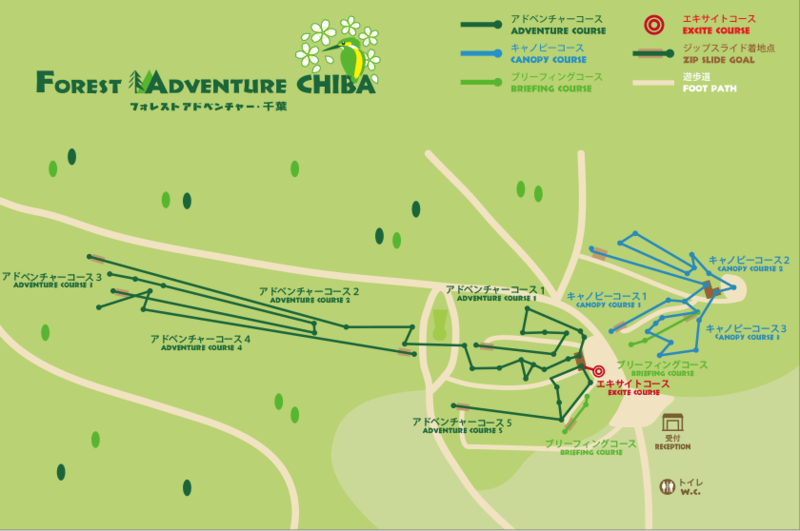 Come and visit our Forest Adventure in CHIBA! One adult (18+) may supervise up to three children. Children under third grade must be accompanied by a supervising adult. One adult (18+) may supervise up to four children. Only children grade 3 and older can do the course unaccompanied. Adult must still supervise from the ground. Minimum height: 0.90m, Children the third grade or under. Guardians (18+) are asked to sign a legal disclaimer and must supervise from the ground. *1 Please tell us who wants "Excite plan" at the reception desk on the day. *2 Group rate applies to bookings of 8 or more participants. 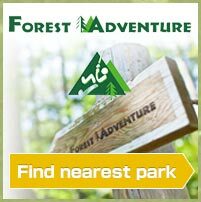 *3 Groups of 15 or more may reserve the course for their exclusive use. Prior booking is required, please contact us for details. Unlimited the circuit for 80 minutes to play the course. Unlimited the circuit for 45 minutes to play the course.